Jonathan David Lewis is the author of Brand vs Wild, a Forbes contributor and a brand survival expert at McKee Wallwork + Co.
As partner and strategy director at MW+C, Jonathan led his firm to be recognized by purveyor Advertising Age as a national leader in branding and marketing, winning the Southwest Small Agency of the Year, national B2B Campaign of the Year, and national Best Places to Work awards. Jonathan sharpened his skills during the harsh years of the Great Recession, helping brands navigate today’s unforgiving new business paradigms. Jonathan’s opinions are highly sought by numerous business and marketing publications, including Forbes, Digiday, and Advertising Age, where he explores the factors of stalled growth and the principles proven to help companies traverse the dangers of the brand wilderness. Today’s business leaders face relentless change and ambiguity. Uncertainty in the economy causes paralysis. Workforce mobility kills loyalty. Iconic products decline as fast as startups create new categories. And the pressure to do more with less can be overwhelming. Now more than ever, brands and the people who lead them need clarity and guidance. The good news is that people have discovered ways to thrive in harsh environments for millennia. 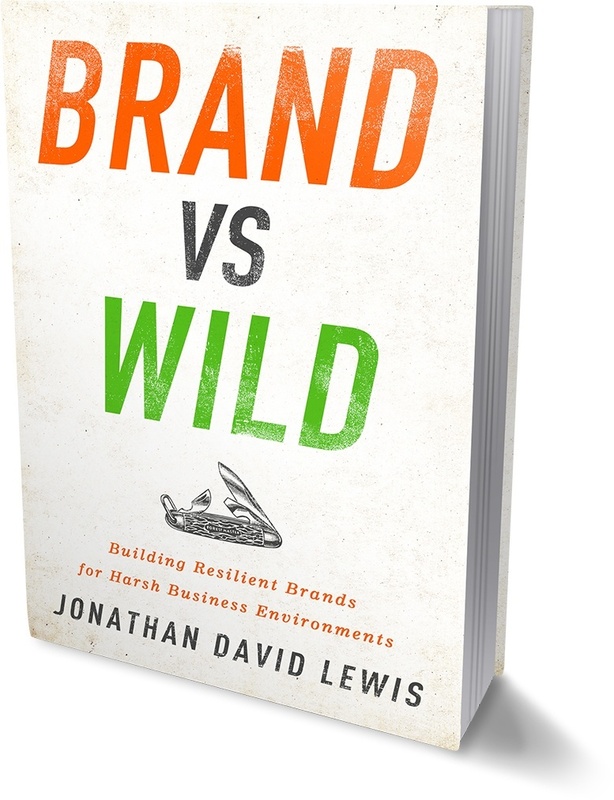 Brand vs Wild combines the latest in survival psychology with more than a decade of proprietary research into the factors that cause companies to lose their way, forming a survival guide for traversing the choppy and unforgiving waters of commerce. It’s a business jungle out there. Brand vs Wild is your razor-edged machete.